Naija Fashion Home is a multi-media promotion platform for all things related to fashion from modeling and photography, to event planning and hosting. We would be celebrating our second year anniversary with a gala event and it will take place on august 2018 in Lagos. This gala will not only celebrate our second year of existence as a company, but also host designers, models, and entrepreneurs from the fashion industry. NFH is currently in 25 states in Nigeria, Benin Republic, with New York location in progress and interest from Ghana and Togo. Our core objective as a company is to promote fashion with special focus on the entrepreneurs who create the trends. In others words, we discover, train and promote young and upcoming entrepreneurs in the fashion industry. In our two years of existence, we have hosted 3 successful online model contest for young fashion enthusiast, we have established our own fashion advertising magazine and we have created credible contacts for the start of our fashion TV series. 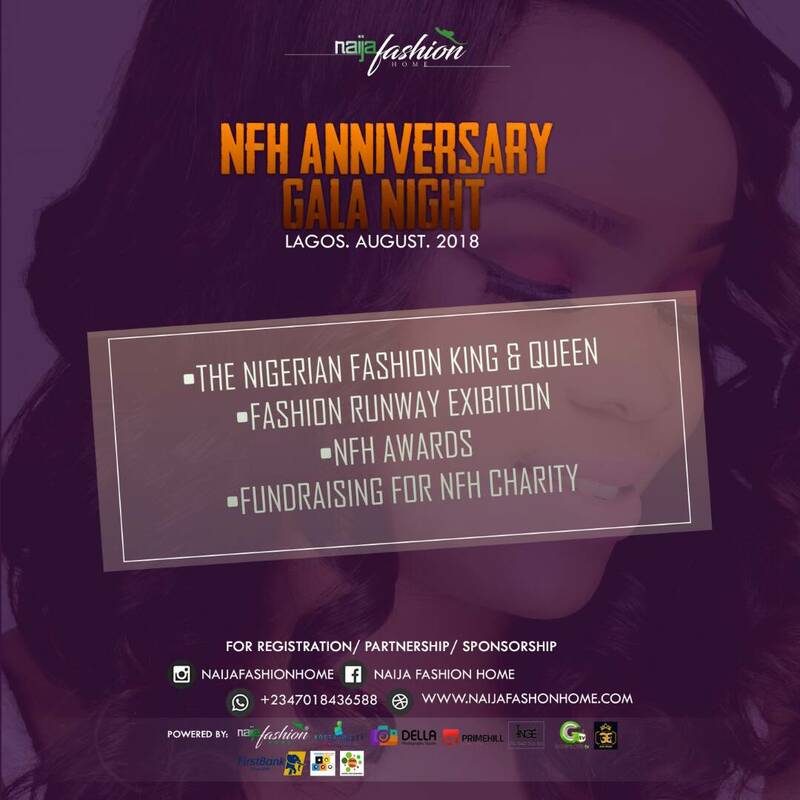 In accordance to the objectives of NFH in creating a platform to promote fashion, modelling plays a major role. Without modelling fashion would be empty. For this reason, NFH has come up with a pageantry for daring and competitive young fashion models to see who will be the king and queen of Nigerian fashion. This contest is open to Nigerians from age 15-28yrs residing in any of the geo-political zone of the country. 14 crowns have been created for this contest to create more competitive options and also to give every contestant a fighting chance. The minority crowns was created to compensate models who really put in all their effort but couldn’t make it to major crowns. Their role as minority crown holders will cover the regions of the country they are assigned to. 1yr reign as King & Queen, movie role, 1yr photoshoot, full cover page NFH fashion magazine and 1yr modelling contract. 1yr reign as NFH brand ambassador, half page of NFH fashion magazine, movie role, photoshoots and 1yr modelling contract. 1yr reign as NFH tourism ambassador, movie role, photoshoots and 1yr modelling contract. This aspect of the event is where fashion designers showcase their clothes and collection on the runway. Their designs will cut across all types and from all cultures of the country. Registration for designers will start February 2018. All designers who registered to showcase will automatically be signed in as partners of NFH. On the same night we be honoring special dignitaries and top industry players who have made major strides in promoting the fashion industry in Nigeria. Also we would give awards to upcoming personalities who through an open voting process won awards. The nomination form for this award comes out in February. 0 Response to "NFH Anniversary Gala Night"